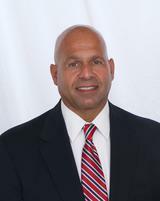 Ron Karcich is highly knowledgeable and experienced Broker-Salesperson. A consummate professional who has helped hundreds of satisfied clients navigate the ever-changing waters of the real estate market and achieve their ultimate goals. Ron’s strengths lie in negotiation and honesty with his clients. He always puts his clients’ best interest above all others. From 2000 to 2009, Ron was Broker-Manager of 3 highly successful sales offices where he was responsible for recruiting, training, and motivating the sales force. In today’s real estate market, there is no substitute for an experienced and skilled agent with the professionalism and integrity needed to ensure that you feel secure in one of the biggest decisions of your life.